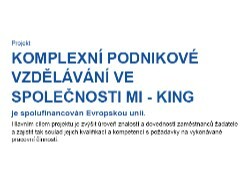 Cílem projektu je zvýšit úroven znalostí a dovedností zamestnancu Mi – King s.r.o. a zajistit tak soulad jejich kvalifikací a kompetencí s požadavky na vykonávané pracovní cinnosti. 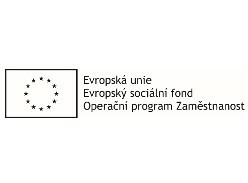 Aktivitami, ve kterých budou zamestnanci v rámci projektu vzdeláváni, jsou obecné IT, specializované IT, mekké a manažerské dovednosti, úcetní a ekonomické právní kurzy, technické a jiné odborné vzdelávání pro celé spektrum zamestnancu spolecnosti, tedy specialisté, technictí a administrativní pracovníci a operátori výroby. Celkem bude v rámci projektu proškoleno 43 osob s minimální úcastí 40 hodin výuky. V rámci prvního sledovaného období, které trvalo od kvetna do ríjna 2017, došlo ke školení predevším technického vzdelávání, dále ke školením v oblasti IT, manažerských dovedností a úcetních kurzu. Kurzu z oblasti IT a technického vzdelávání se zúcastnili operátori výroby a specialisté, ale také a technictí a administrativní pracovníci. Dále v daném období probehly kurzy mekkých a manažerských dovedností urcených pro specialisty a administrativní pracovníky. 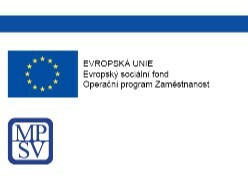 TENTO PROJEKT JE SPOLUFINANCOVÁN EVROPSKOU UNIÍ Z PROSTREDKU EVROPSKÉHO SOCIÁLNÍHO FONDU V RÁMCI OPERACNÍHO PROGRAMU ZAMESTNANOST POD ZÁŠTITOU MINISTERSTVA PRÁCE A SOCIÁLNÍCH VECÍ. Mi-King s.r.o. started as a green field site and commenced operational supply in Kolin from 2005. Taking a lead from our parent companies’ long-standing reputations for excellence in steel, we have continued to grow and build a reputation for Quality and Service. Mi-King s.r.o. was established by Mitsui & Co., Ltd. and William King Ltd to bring their commitment to customer service and competitive pricing to Central and Eastern Europe. The long history of our two parent companies demonstrates a commitment to long-term growth through investment in people and machinery and by forging strong supplier/customer partnerships that support and develop mutual benefit. The company began trading in 1876 following the opening up of Japan to overseas markets. From the first Mitsui & Co., Ltd. was committed to growth and constantly sought ways to add value to new fields of business. Over the 20th Century Mitsui & Co., Ltd. developed new markets and products across the whole range of industries, with metals and engineering becoming increasingly important from the 1930’s. Apart from having a presence in traditional industries such as mining and raw material trading, Mitsui & Co., Ltd. worked with partners to develop new technologies, for example in computerization and satellite communication. In the present day, Mitsui & Co., Ltd. is also active in renewable energyagriculture and healthcare, recognizing that all are areas presenting tremendous challenges for the future. To support the many business areas in which it is active, Mitsui & Co., Ltd. keeps 155 offices in 67 countries, along with 450 associated or subsidiary companies, of which Mi-King s.r.o. is one. The origin for the company dates back to the 1820’s as an ironmongery business belonging to Edmund Boughton. Throughout the 19th Century the company continued to flourish until, in 1905, the Birmingham interests were sold to a Mr. William King, who provided the company with its current name. The operation continued on a sole trading or partnership basis until 1951, when the present limited company was formed. The company continued to expand and in 1959, the Atlas Ironworks site was acquired and construction of the now ‘Atlas Centre’ factory facilities began through the 1960’s. That investment continues to today, most recently with the construction of the “East Works” in 1998/1999, taking the site to 25,000m2 of warehousing and processing area. In 1988 a commercial agreement was signed with the Mitsui & Co., Ltd. and William King Ltd that created the first joint-venture company, Mi-King Ltd at Washington, Tyne & Wear, United Kingdom.